Come in costume! Participate in the reading of the “Gantza Megilla” and the mitzvah of the “half shekel.” We also will celebrate afterwards with a (lacto-vegetarian) pot luck meal. The giving of Mishloach manot and Matanot L’eviyonim is in the Book of Esther, which enjoins the Jewish people to observe the days of Purim “as days of feasting and gladness, and sending portions of food to one another, and gifts to the poor” (9:22). It is also the custom that every person would give a ½ shekel to the Temple for taxes (today a symbolic amount for the synagogue). Also, as is KG’s custom, we call upon you to help us collect any unused toiletries which you may have left over from hotels, vacations, etc. (in good condition) that we will then give to a shelter for battered women (see below). Head to KG (March 20 at 6:30pm) and “hear” the whole megillah of how Mordechai and Esther save the Jewish people from the destructive plans of the wicked Haman. On Purim, we emphasize the importance of friendship by sending gifts of food to friends in packages containing at least two different ready-to-eat food items and/or beverages. Give money to at least two needy people, or place two coins in a charity box of your choice earmarked for the poor. Purim Project – Toiletries for our modern heroines! Collecting gifts for an emergency center for battered women. Every year Kehilat Gesher collects toiletry articles for women in difficulty, in memory of Queen Vashti and Queen Esther. We welcome toothpaste, shampoo, shaving gear, deodorant, soaps, product samples of cosmetics and perfumes, wash cloths, combs, shower gel, hotel soaps…all new and in good condition, of course! 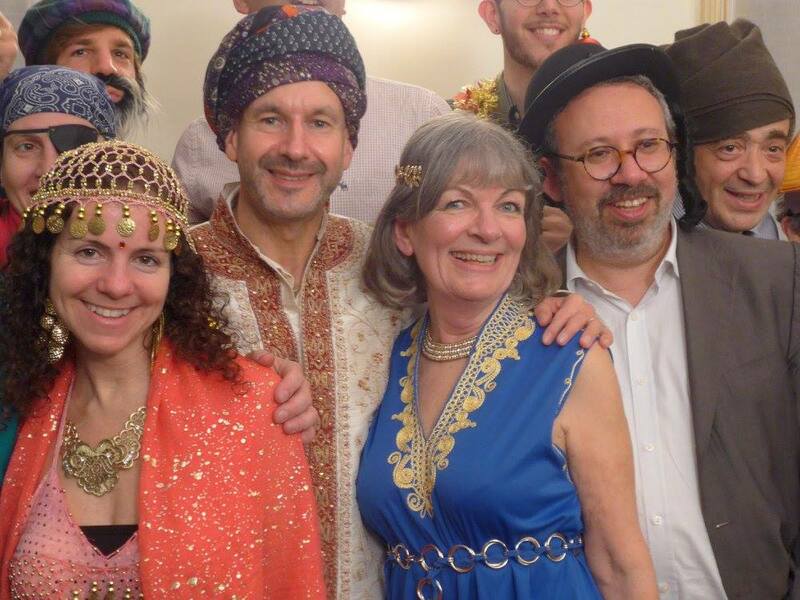 Gather your family, maybe invite a guest or two, and celebrate with a festive Purim meal. Enjoy a festive meal with plenty of songs, drinks, laughter – have fun together.